Are you tired of being uncomfortable in a too-tight seat belt? We've got a solution that will help. The Universal Seat belt Extender is the answer! When this car seat belt extender was designed it was with people who simply need a little extra length, in mind. Nobody wants to ride around in a car with a seat belt that doesn't fit properly. This isn't safe or comfortable. If you aren't wearing your seat belt at all, this can be illegal. Designed with comfort in mind, the extender is made to easily click right into your car's original belt. It is made from durable, high-quality materials that are safe and comfortable. 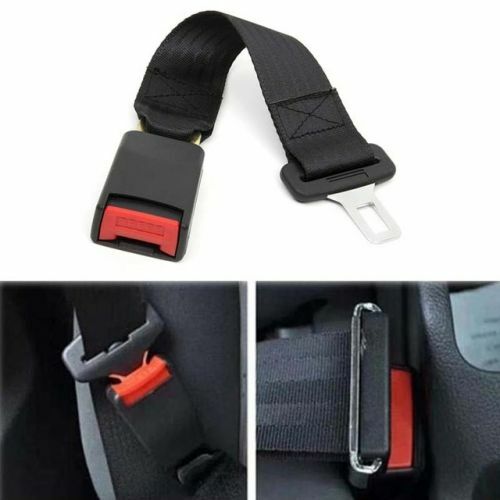 Did you know that our seat belt extenders are tested for safety? They require no installation, either. Whether you are simply going out for the mail or driving across the nation, our seat belt extender can make your journey safer.